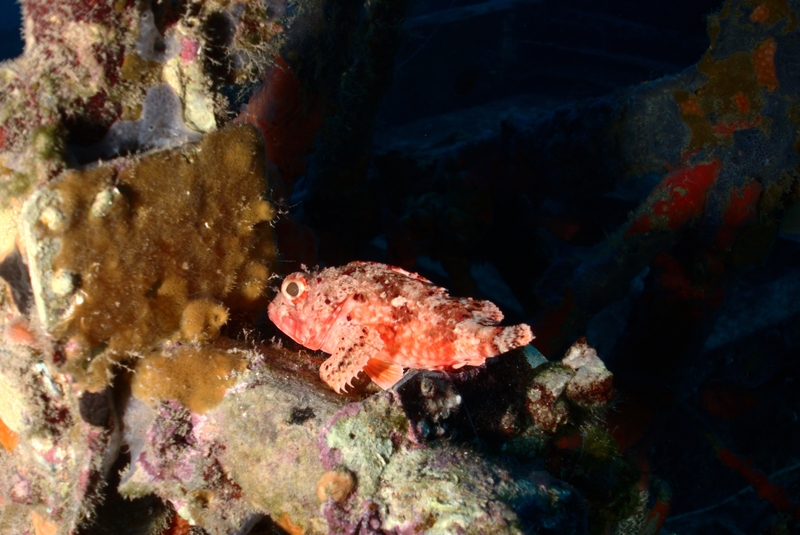 A red scorpionfish (Scorpaena scrofa) nestled in the Bristol Beaufighter. Of all the scorpionfish on the wreck—and there were many as usual—none deigned to be turned toward the camera. So if photograph their backs I must, then I must. This work is licensed under a Creative Commons Attribution-ShareAlike 4.0 International License. Please attribute Kristaps, the photographer, with a link to kristaps.bsd.lv/photo0072.html.